The Fragmented team had been hard at work in March, dropping 12 good sized patches. Due to NDA restrictions, the team doesn’t publish patch notes publicly as they come out, however, they do list a lot of changes in the monthly newsletter. Included in this month’s newsletter, in addition to a massive change log, is a quasi-release announcement for the game. 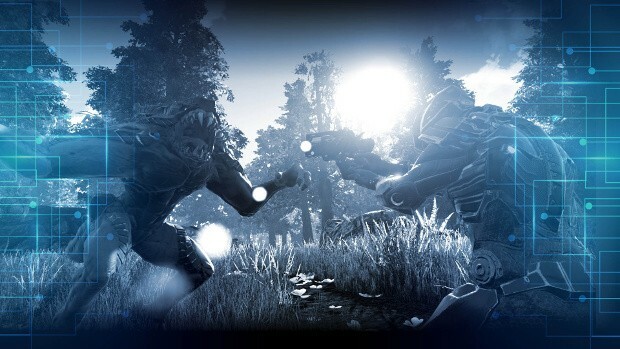 An exact date has yet to be announced but the team did reveal that those who have already backed The Repopulation should be granted access on Steam in April. In addition, the developer plans to drop the NDA “soon” and make the game available for purchase on Steam Early Access before the end of the month. For those interested in everything that’s been done with Fragmented over the course of March — and it is a lot — you’ll want to check out the newsletter. It covers everything from fixing bizarre AI behavior to changes to vehicles and mounts.